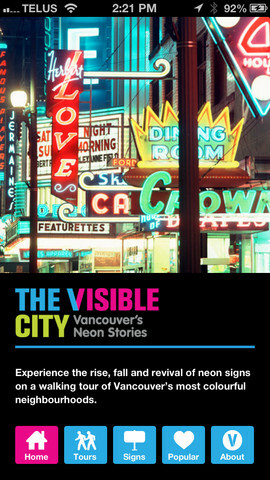 The Visible City is a remarkable new iPhone app developed by the Museum of Vancouver. This artistic little app is like a time machine that fits in your pocket. The Visible City is an augmented reality app: hold your phone in front of a building, and you can see the neon signs and storefronts that stood in that very location decades ago. 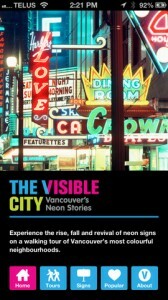 Embark on an interactive walking tour of Vancouver, and you’ll be able to see the rise and fall of the city’s once-iconic neon lights. 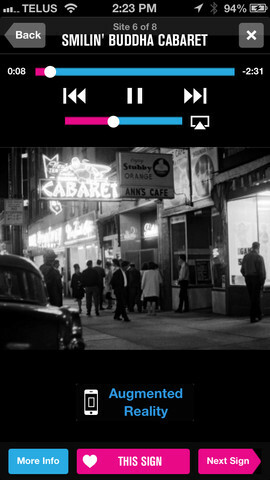 The app gives you highlights of the city’s look in the 1950s, 60s or 70s. The Visible City offers two different, interactive walking tours to enjoy. 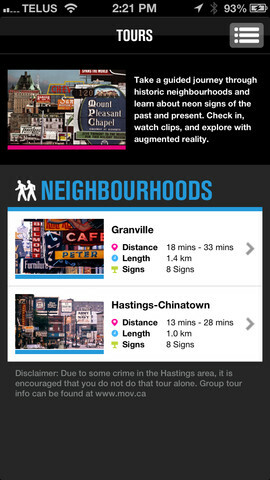 Locations on the tour include Granville Street, theatres, nightclubs, eateries, Chinatown and Hastings Street. 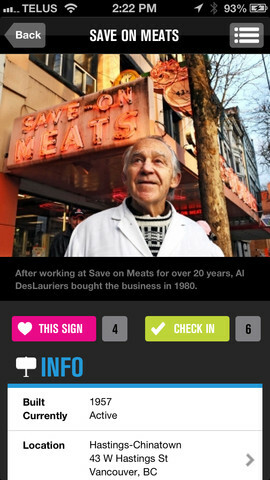 From within the app, you can hear stories about the past told by real Vancouverites, and also watch video interviews that highlight the city’s rich history. Overall, The Visible City is beautifully designed and simple to navigate. Positively jam-packed with photographs, maps, and interesting info, this app offers a ton of knowledge in an easy-to-digest package. This visual history of the city and its people is fascinating, and more cities should offer something similar. Until someone invents a time machine, The Visible City is the best way you have of traveling back in time….assuming the only place you want to visit is Vancouver. Special note: If you live in Vancouver, or are just planning a trip, you can check in at 5 locations and receive 2 for 1 admission to the Museum of Vancouver. The Visible Cityis compatible with iPhone 3GS, iPhone 4, iPhone 4S, iPhone 5, iPod touch (3rd generation), iPod touch (4th generation), iPod touch (5th generation) and iPad. Requires iOS 5.0 or later. 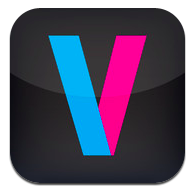 This app is optimized for iPhone 5.